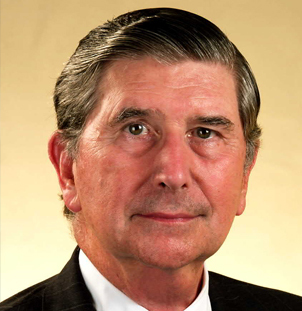 Judge E. Norman Veasey is the former Chief Justice of the Delaware Supreme Court, having served a 12-year term through May 2004. After his retirement, he was a Senior Partner at Weil, Gotshal & Manges LLP, until the end of 2013, and he now concentrates on serving as an arbitrator, mediator, special master, and provide other neutral services in complex corporate, contract, and commercial litigation. During his tenure as Delaware Supreme Court Chief Justice, and thereafter, the United States Chamber of Commerce ranked Delaware’s courts first in the nation for their fair, reasonable, and efficient litigation environment. Chief Justice Veasey has been credited with leading nationwide programs to restore professionalism to the practice of law and to adopt best practices in the running of America’s courts. In 2004, his final year of service in the Delaware Supreme Court, he was awarded the Order of the First State by the Governor of Delaware, the highest honor for meritorious service the State’s governor can grant. As Senior Partner at Weil, he served as a strategic adviser to the firm’s roster of prominent global clients on a wide range of issues related to mergers & acquisitions, restructuring, and litigation. He also advised on corporate governance issues involving the responsibilities of corporate directors in complex financial transactions and crisis management. He was President of the Conference of Chief Justices, Chair of the board of the National Center for State Courts, Chair of the Section of Business Law of the American Bar Association (ABA), Chair of the ABA Special Commission on Evaluation of the Rules of Professional Conduct (Ethics 2000), Chair of the Committee on Corporate Laws of the ABA Section of Business Law, and President of the Delaware State Bar Association. He is a Fellow of the American College of Trial Lawyers; included in Best Lawyers in America; a director of the Institute for Law and Economics at the University of Pennsylvania; a member of the American Law Institute; a member of the International Advisory Board of the Centre for Corporate Law and Securities Regulation; a frequent panelist and lecturer on the corporation law, corporate governance, ethics, and professionalism; and an Adjunct Professor at the University of Pennsylvania Law School, where he teaches a course entitled, “The Real World of Ethical Corporate Lawyering.” He served in previous years as an Adjunct Professor teaching this course at New York University School of Law, the University of Virginia School of Law, Wake Forest University School of Law, Dedman School of Law of Southern Methodist University, and the Moritz School of Law of Ohio State University. He is a lecturer on corporate governance at the Tuck School of Business of Dartmouth College, and appears often as a writer and speaker on various topics including alternate dispute resolution, corporate governance, and professional responsibility. Class of 1954 Award from Dartmouth College. From 1957 until he took office as Chief Justice in 1992, he practiced law with the Wilmington, Delaware, law firm of Richards, Layton & Finger, where he concentrated on business law, corporate transactions, litigation, and counseling. He served at various times as managing partner and the chief executive officer of the firm. During 1961-63, he was Deputy Attorney General and Chief Deputy Attorney of the State of Delaware. From 2011 to 2014 he served the State of Delaware as Independent Counsel and Special Deputy Attorney General to investigate campaign funding law violations. He is a graduate of Dartmouth College (A.B. 1954) and the University of Pennsylvania Law School (LLB 1957). He has been awarded honorary degrees of Doctor of Laws from the University of Delaware and Widener University.